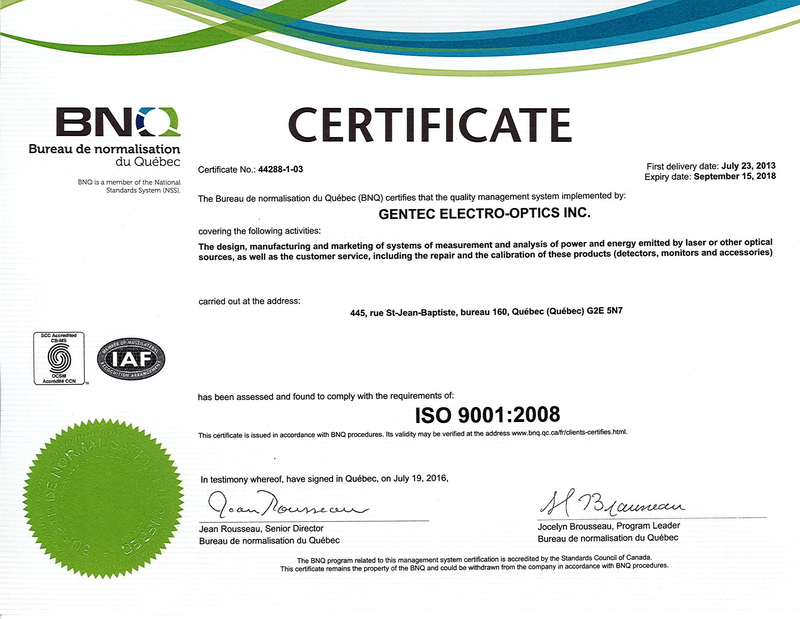 Quebec City, CANADA – As of July 23rd, Gentec Electro-Optics, Inc. (Quebec City, Canada) is ISO 9001:2008 certified. 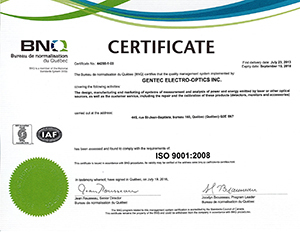 The entire staff has put a lot of hard work to obtain this certification. The employees are all very proud of this accomplishment that was made possible through the dedication, rigor and team spirit characterizing the company.